INODE is an innovator and leader in data analytics and business intelligence, data center infrastructure, and cloud solutions. A Minority-Owned Small Disadvantaged Business (SDB) with with Scaled Agile SAFe 4 certification, we have been a trusted advisor to a long list of government and commercial entities for over a decade. Earning that trust is the result of staying true to our mission: To Engineer Data Into Innovative Solutions. 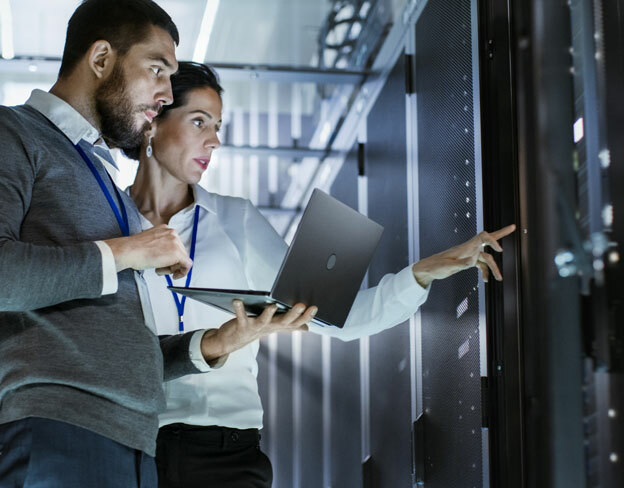 We help organizations assess their current data management capabilities, define their desired future state, and implement efficient, cost-effective solutions that utilize both current infrastructure and leading-edge technology. The driving force behind achieving excellence in those processes is the shared vision of every member of our team: Bridging the Gap Between Data Infrastructure and Analytics. Our commitment does not stop there — we also provide ongoing high-tier support on the solutions we implement. INODE was founded by data storage veteran Khai Huynh in 2007. Having worked in the industry for many years, he knew that there were few IT consulting firms that were providing both exceptional technical expertise and outstanding client service. While he set out to work with small to medium-sized businesses, his first contract was with aerospace giant Lockheed Martin. That highly successful engagement launched INODE, and the skilled team that Khai would ultimately assemble, into a series of projects with the federal government. INODE later expanded into the commercial space and quickly developed a sterling reputation there as well. While the company’s early focus was on data storage solutions, today INODE is also a recognized leader in hyperconverged infrastructure, cloud computing, virtualization, and data analytics. One thing that has not changed is the team’s unwavering commitment to providing innovative solutions and truly attentive service that produce the highest levels of client satisfaction. To deliver the most innovative and effective solutions, you have to capitalize on the best products and services available. INODE has strong, long-term relationships with leading technology providers that directly benefit our clients. We have extensive expertise in all the most advanced data storage and analytics technologies and strong relationships with the best providers. And, that expertise is maintained and expanded by our permanent staff of seasoned, senior-level engineers. Hiring and training the best talent in the industry rather than working with a loose collection of contractors ensures that every project is completed to our high standards.